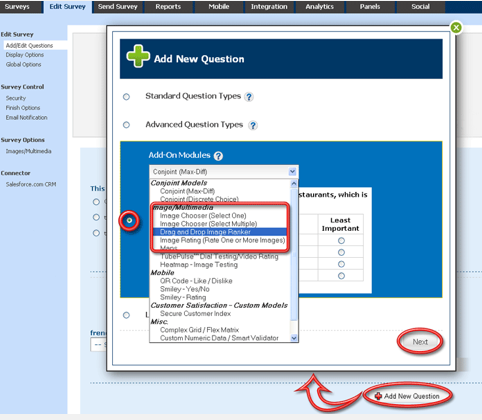 If you are currently using the ranking question template, SurveyAnalytics has added a new drag and drop ranking question type. Drag and Drop Ranking is best for when you’re looking for a question type that allows a survey taker to visualize their answer options and lets them order the items from a predetermined list. What is a Drag and Drop rank order question type? 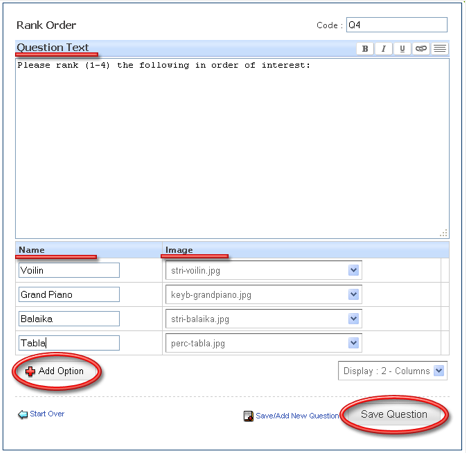 The Drag and Drop rank order question type allows you to have images as ranking options in your question. Respondents can then drag the images one by one to rank them, once the images are all dragged they can be sorted easily by dragging and dropping them vertically in the box. How can I set up the Drag and Drop question? Click on the Add New Question link. From Add-On Modules select the Image Ranker question type and click on the Next button. Question Text: Enter in the Question Text here. Name: Enter in the Answer option text/ Image label text here. 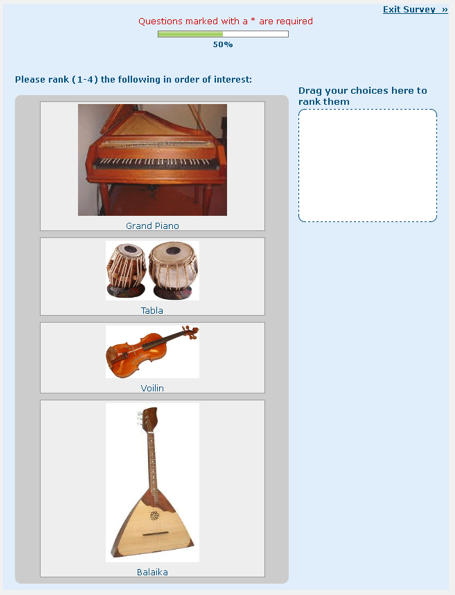 Image: Select the Image from the drop menu. Image should be uploaded prior to adding the question. Click on Save Question to add the question. You have successfully added the Image Ranking question to your survey. For the most effective survey experience, we would recommend to keep your image size up to 300 pixels.